For other people named Thomas Willis, see Thomas Willis (disambiguation). Thomas Willis (27 January 1621 – 11 November 1675) was an English doctor who played an important part in the history of anatomy, neurology and psychiatry. He was a founding member of the Royal Society. Willis was born on his parents' farm in Great Bedwyn, Wiltshire, where his father held the stewardship of the Manor. He was a kinsman of the Willys baronets of Fen Ditton, Cambridgeshire. He graduated M.A. from Christ Church, Oxford in 1642. In the Civil War years he was a royalist, dispossessed of the family farm at North Hinksey by Parliamentary forces. In the 1640s Willis was one of the royal physicians to Charles I of England. Less grandly, once qualified B. Med. in 1646, he began as an active physician by regularly attending the market at Abingdon. 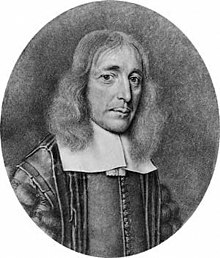 He maintained an Anglican position; an Anglican congregation met at his lodgings in the 1650s, including John Fell, John Dolben, and Richard Allestree. Fell's father Samuel Fell had been expelled as Dean of Christ Church, in 1647; Willis married Samuel Fell's daughter Mary, and brother-in-law John Fell would later be his biographer. He employed Robert Hooke as an assistant, in the period 1656-8; this probably was another Fell family connection, since Samuel Fell knew Hooke's father in Freshwater, Isle of Wight. One of several Oxford cliques of those interested in science grew up around Willis and Christ Church. Besides Hooke, others in the group were Nathaniel Hodges, John Locke, Richard Lower, Henry Stubbe and John Ward. (Locke went on to study with Thomas Sydenham, who would become Willis's leading rival, and who both politically and medically held some incompatible views.) In the broader Oxford scene, he was a colleague in the "Oxford club" of experimentalists with Ralph Bathurst, Robert Boyle, William Petty, John Wilkins and Christopher Wren. Willis was on close terms with Wren's sister Susan Holder, skilled in the healing of wounds. Willis lived on Merton Street, Oxford, from 1657 to 1667. 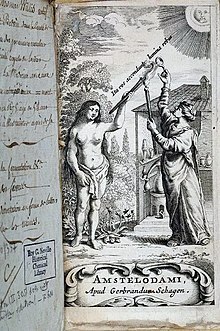 In 1656 and 1659 he published two significant medical works, De Fermentatione and De Febribus. These were followed by the 1664 volume on the brain, which was a record of collaborative experimental work. From 1660 until his death, he was Sedleian Professor of Natural Philosophy at Oxford. At the time of the formation of the Royal Society of London, he was on the 1660 list of priority candidates, and became a Fellow in 1661. Henry Stubbe became a polemical opponent of the Society, and used his knowledge of Willis's earlier work before 1660 to belittle some of the claims made by its proponents. Among his patients was the philosopher Anne Conway, with whom he had intimate relations, but although he was consulted, Willis failed to relieve her headaches. Willis is mentioned in John Aubrey's Brief Lives; their families became linked generations later through the marriage of Aubrey's distant cousin Sir John Aubrey, 6th Baronet of Llantrithyd to Martha Catherine Carter, the grand-niece of Sir William Willys, 6th Baronet of Fen Ditton. Willis was a pioneer in research into the anatomy of the brain, nervous system and muscles. His most notable discovery was the "Circle of Willis", a circle of arteries on the base of the brain. Willis's anatomy of the brain and nerves, as described in his Cerebri anatome of 1664, is minute and elaborate. This work coined the term neurology, and was not the result of his own personal and unaided exertions; he acknowledged his debt to Sir Christopher Wren, who provided drawings, Thomas Millington, and his fellow anatomist Richard Lower. It abounds in new information, and presents an enormous contrast with the vaguer efforts of his predecessors. Willis was the first to number the cranial nerves in the order in which they are now usually enumerated by anatomists. He noted the parallel lines of the mesolobe (corpus callosum), afterwards minutely described by Félix Vicq-d'Azyr. He seems to have recognised the communication of the convoluted surface of the brain and that between the lateral cavities beneath the fornix. He described the corpora striata and optic thalami; the four orbicular eminences, with the bridge, which he first named annular protuberance; and the white mammillary eminences, behind the infundibulum. In the cerebellum he remarks the arborescent arrangement of the white and grey matter and gives a good account of the internal carotids and the communications which they make with the branches of the basilar artery. Willis replaced Nemesius's doctrine. He deduced that the ventricles contained cerebrospinal fluid which collected waste products from effluents. Willis recognized the cortex as the substrate of cognition and claimed that the gyrencephalia was related to a progressive increase in the complexity of cognition. In his functional scheme, the origin of voluntary movements was placed at the cerebral cortex while involuntary movements came from the cerebellum. . He coined the term mellitus in diabetes mellitus. An old name for the condition is "Willis's disease". He observed what had been known for many centuries elsewhere, that the urine is sweet in patients (glycosuria). His observations on diabetes formed a chapter of Pharmaceutice rationalis (1674). Further research came from Johann Conrad Brunner, who had met Willis in London. By his wife, Mary Fell, Willis had five daughters and four sons, of whom four children survived early childhood. After Mary's death in 1670, he married the widow Elizabeth Calley, daughter of Matthew Nicholas, in 1672: there were no children of this marriage. Browne Willis, the antiquary, was son of Thomas Willis (1658–1699), the eldest son of Thomas and Mary. Between 1724 and 1730, Browne Willis rebuilt St. Martin's Church on the site of the old Chantry Chapel of St. Margaret and St. Catherine at Fenny Stratford. He erected the church as a memorial to his grandfather Willis who lived in St. Martin's Lane in the parish of St. Martin-in-the-Fields in London and who died on St. Martin's Day, 11 November 1675. ^ Moore, Norman (1900). "Willis, Thomas (1621-1675)" . In Lee, Sidney. Dictionary of National Biography. 62. London: Smith, Elder & Co. pp. 25–26. ^ a b Willis, Thomas. The Galileo Project. Galileo.rice.edu. Retrieved on 17 July 2012. ^ a b c Symonds, Charles (1960). "Thomas Willis, F.R.S. (1621–1675)". Notes and Records of the Royal Society of London. 15: 91–97. doi:10.1098/rsnr.1960.0008. JSTOR 531028. ^ Lisa Jardine, On a Grander Scale, HarperCollins, 2004, ISBN 006095910X, p. 54. ^ Nicholas Tyacke, The History of the University of Oxford: Volume IV: Seventeenth-Century Oxford (1984), p. 804. ^ Allan Chapman, England's Leonardo: Robert Hooke and the Seventeenth-century Scientific Revolution, Institute of Physics, 2005, ISBN 0750309873, p. 20. ^ Restoration man. Oxford Today, Vol. 15, No. 3 (2003). ^ Lisa Jardine, The Curious Life of Robert Hooke, HarperCollins, 2003, p. 66. ^ Hilde de Ridder-Symoens, Walter Rüegg, A History of the University in Europe (1996), p. 547. ^ Wayne Glausser, Locke and Blake: A Conversation Across the Eighteenth Century, University Press of Florida, 1998, ISBN 0813015707, p. 49. ^ Andrew Pyle (editor), The Dictionary of Seventeenth Century British Philosophers (2000), Thoemmes Press (two volumes), article Willis, Thomas, p. 896. ISBN 1855067048. ^ BIOGRAPHIES: Susan Holder (1627-1688). She-philosopher.com (27 September 2009). Retrieved on 17 July 2012. ^ Molnár, Zoltán (2004). "Timeline: Thomas Willis (1621–1675), the founder of clinical neuroscience". Nature Reviews Neuroscience. 5 (4): 329–35. doi:10.1038/nrn1369. PMID 15034557. ^ Margery Purvey, The Royal Society: Concept and Creation, MIT Press, 1967, pp. 138–9. ^ Jon Parkin, Science, Religion and Politics in Restoration England (1999), p. 134 ISBN 0861932412. ^ Andrew Wear, Knowledge and Practice in English Medicine, 1550–1680, Cambridge University Press, 2000, ISBN 0521558271, p. 446. ^ Allen G. Debus, Alchemy and Early Modern Chemistry: Papers from Ambix, Jeremy Mills Publishing, 2004, ISBN 0954648412, p. 364. ^ Arikha, Noga (2006). "Form and Function in the Early Enlightenment". Perspectives on Science. 14 (2): 13. doi:10.1162/posc.2006.14.2.153. ^ Carol Wayne White, The Legacy of Anne Conway (1631–1679): Reverberations from a Mystical Naturalism, SUNY Press, 2008, ISBN 0791474658, p. 6. ^ Thomas Willis. Whonamedit. Retrieved on 17 July 2012. ^ Willis T. An Essay of the Pathology of the Brain and Nervous Stock: In Which Convulsive Diseases Are Treated Of. Pordage S, trans. London: Dring, Leigh and Harper; 1684. ^ Arráez-Aybar, Luis-A. "Thomas Willis, a pioneer in translational research in anatomy (on the 350th anniversary of Cerebri anatome)". Journal of Anatomy. 226 (3): 289-300. doi:10.1111/joa.12273. ^ Ocular Syndromes and Systemic Diseases: Diabetes Mellitus Archived 4 January 2010 at the Wayback Machine. Medrounds.org (22 March 2007). Retrieved on 17 July 2012. ^ Dallas, John (2011). "Royal College of Physicians of Edinburgh. Diabetes, Doctors and Dogs: An exhibition on Diabetes and Endocrinology by the College Library for the 43rd St. Andrew's Day Festival Symposium". Archived from the original on 2011-08-17. ^ Elizabeth Lane Furdell, Textual Healing: Essays on Medieval and Early Modern Medicine, BRILL, 2005, ISBN 9004146636, p. 248. Carl Zimmer, Soul Made Flesh, 2004. Eduardo Punset, The Soul is in the brain, 2006. Kenneth Dewhurst, Thomas Willis as a Physician, Los Angeles: University of California Press, 1964. Kenneth Dewhurst, Willis's Oxford Casebook, Oxford: Sandford Publications, 1981. ISBN 0-9501528-5-4. H. Isler, Thomas Willis. Ein Wegbereiter der modernen Medizin, 1621–1675, Stuttgart: Wissenschaftliche Verlagsgesellschaft, 1965. J.T. Hughes, Thomas Willis (1621–1675): His Life and Work, London: Royal Society of Medicine, 1991. M. Simonazzi, Thomas Willis e il sistema nervoso, in Id., La malattia inglese. La melanconia nella tradizione filosofica e medica dell'Inghilterra moderna, Bologna: Il Mulino, 2004, pp. 185–252. Rengachary, Setti S; Xavier Andrew; Manjila Sunil; Smerdon Usha; Parker Brandon; Hadwan Suzan; Guthikonda Murali (2008). "The legendary contributions of Thomas Willis (1621–1675): the arterial circle and beyond". J. Neurosurg. 109 (4): 765–75. doi:10.3171/JNS/2008/109/10/0765. PMID 18826368. Wikisource has the text of the 1911 Encyclopædia Britannica article Willis, Thomas. Munk, William (1878). The Roll of the Royal College of Physicians of London, Vol. I (2nd ed.). London. pp. 338–342.